First of all, as always, thank you. Any awards we win are all thanks to your interest, and your votes, and we are always stunned by your generosity. 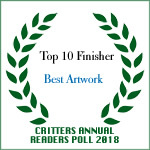 This year’s Reader Poll went wonderfully. 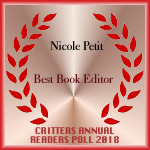 Thanks to you, Nicole Petit finally completed her climb to Best Editor! Jon Black continued to a titan! And Barbara Sobczyńska earned a very well deserved award for Best Cover! Among many, many other things you’ll see below. Congratulations to all of our authors, artists, and friends! After winning Best Other Short Story last year, Jon Black’s novel-length expansion of Bel Nemeton won for Best Thriller! But it wasn’t only Jon’s novel you loved, but also Barbara Sobczyńska’s wonderful cover. 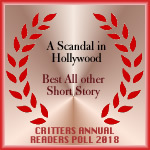 Continuing your love for Jon’s stories, he also won Best All Other Short Story thanks to his Basil Rathbone mystery from Silver Screen Sleuths! Curated by Nicole Petit and featuring stories by Josh Reynolds, Jon Black, Nicole Petit & James Bojaciuk, C.L. Werner, M.H. Norris, William Martin, & John Linwood Grant. After climbing up the editorial ranks the last few years, Nicole Petit has earned the position of #1 Best Editor. You awarded another of our favorite artists’, Johannes Chazot’s, work with Best Artwork. 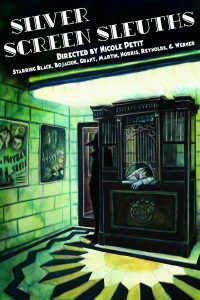 The SiIver Screen Sleuths cover is one of our favorites, and we were so happy to see it nominated. A perennial favorite of our readers, J Patrick Allen’s Dead West series went up against the stiff competition in the Best Horror Novel category once more. J.P. has landed in the top three two years running, will next year finally be the big break-through? Everyone brought something from the old country. Grandfather’s watch, and grandmother’s china’ great-grandfather’s folklore, and great-great-grandmother’s fairy tales. 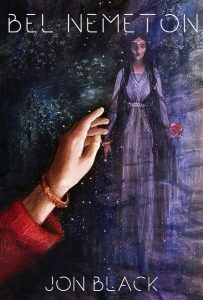 What is never discussed, however, are the undying characters of folklore: nix and fairy, goblin and vampire, dragon and eldritch things who all came to America’s shores in time with the rhyme of their tales. The Knights of Charlotte hunt those things, ensuring what came from the dark stays in the dark.Two of their knights, Samuel and Charlie, approach the tiny town of Silverton. It’s in a precarious position. A cult worships out in the dead mine, approaching town only to proselytize the town, by force if necessary. Its inhuman aid, the Seraphs, prove nearly impossible to kill. Even for Knights of Charlotte. As the siege of Silverton devolves into chaos, Charlie is cast into a phantom world where everything he’s learned so far seems useless. Unable to navigate, eat, or communicate with another living being, he’s still the best hope for survival. Dead West: Hallows of Decay picks up where Bond of Blood and the rest of J Patrick Allen’s award-winning Dead West series left off. Thank you so much for your interest in, and love for, Silver Screen Sleuths! Equally horror and romance – without quite stepping into paranormal romance – Every Little Thing was an experiment on our part. 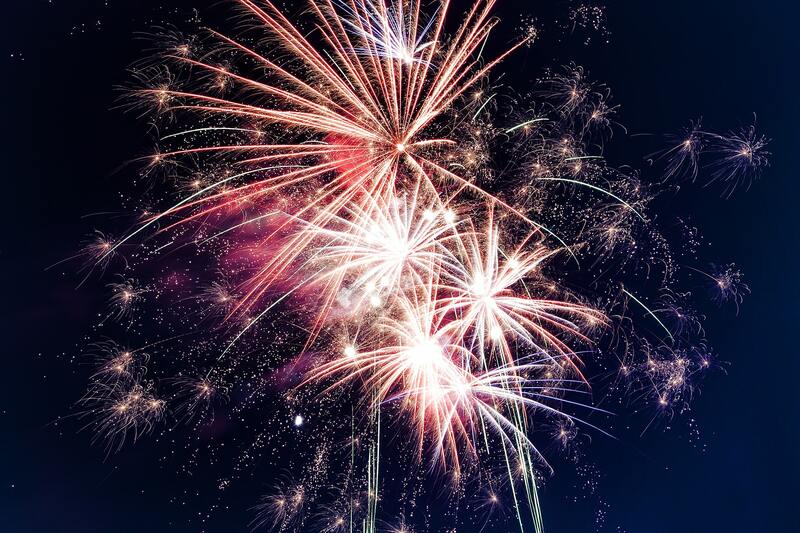 We’re so glad that you loved it! That you voted it into being the #7 best Romance Novel was wonderful and unexpected. Between the stiff competition in the romance category, this being Anna Maloney’s first novel, and it being a new sort of thing for all of us – we couldn’t be more delighted at how it did. 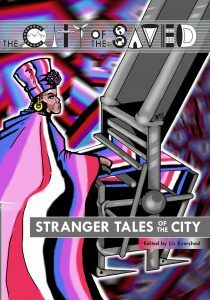 That Elizabeth Evershed’s Stranger Tales of the City should win awards is unsurprising. That it should win two highly-placed awards in the same category is, perhaps, just a little surprising. Even with a split vote, two stories from the book placed in the top five! Liz and Kara’s outstanding work more than deserved this recognition, and it’s endlessly surprising that this the first award won by either of them. Occult Detective Quarterly is one of the finest fiction magazines out today. That it scored so well, a more than respectable #3, speaks to its high standard. 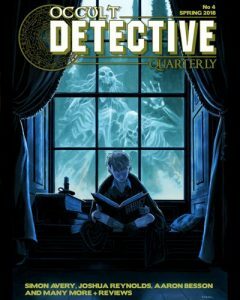 The popular supernatural magazine OCCULT DETECTIVE QUARTERLY returns with it’s 4th issue! Edited by John Linwood Grant and Dave Brzeski, this issue contains fiction by Josh Reynolds, Sarah Hans, Rhys Hughes and many more! 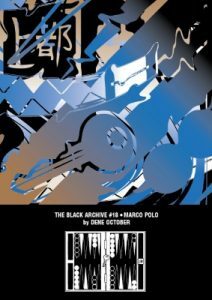 Also contains reviews of new books and audio programs and, of course, new episodes of BORKCHITO: OCCULT DOGGO DETECTIVE by Sam L. Edwards and Yves Tourigny. It’s another issue of the best in Occult Detective fiction and not to be missed! Another of our favorite novels from 2018 was C.L. Werner’s Overlords of the Iron Dragon. We’re happy to see you loved it as well! Andrew Cartmel’s The Vinyl Detective is one of the best mystery series out today, so we couldn’t be happier to see it do so well in the standings! This time the search for a rare record ensnares our hero in a mystery with its roots stretching back to the Second World War. Three young RAF airmen played in a legendary band called the Flare Path Orchestra. When a precious record of their music turns up in the most unexpected place the Vinyl Detective finds himself hired to track down the rest of their highly sought-after recordings. But, as he does so, he finds that the battles of the last World War aren’t over yet–and can still prove lethal. We weren’t aware of this until after voting had closed, but it’s a delight to see another of Obverse’s books, part of their non-fiction Black Archive range, score so well.